Advantage® II is a topical flea control product for dogs that quickly kills all stages of existing fleas and protects against further infestations. It contains imidacloprid and pyriproxyfen, which work to kill fleas through contact, so fleas don't have to bite to die. 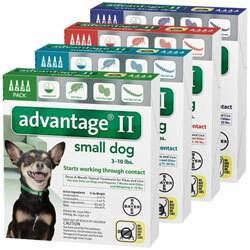 One convenient application of Advantage® II keeps working for one month. Fleas, flea eggs, and flea larvae in the dog’s environment are killed following contact with an Advantage II treated pet. 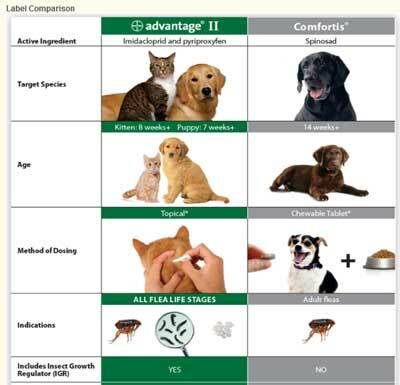 Advantage II provides multi-stage flea control effectively breaking all flea life-cycle stages for quick and lasting control of flea populations.